A little bit of history Those unfamiliar with British cuisine (stop sniggering at the back!) may not have come across the strange substance that is Marmite – a ‘yeast extract’, (a brewing by-product, in other words) with a pungent flavour when spread on toast which divides opinion straight down the line; people either love it or hate it. Platinum, a Japanese brand whose attempts to bring affordable quality to the market have already met with our attention a couple of times, tried to produce a budget gold nibbed-pen, and it’s fair to say that the result is, well, a Marmite proposition. How it looks This is built down to a price, and the impression given is that looks were not a high priority. 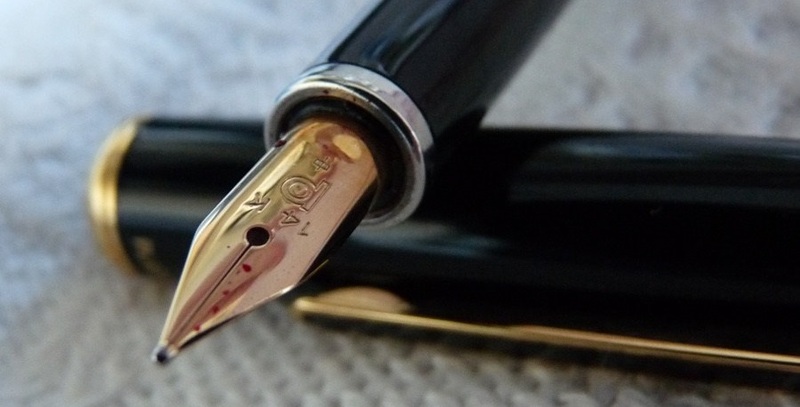 It’s boring and black, frankly – although those unassuming looks do mean that no-one’s likely to think there’s a gold nib worth pilfering hidden in there. How it feels Light and small. Again, making a gold nib affordable was the overriding consideration so no more material has been expended on the body than the minimum required to make a functional pen. This is something of a disappointment when you’ve picked up a Plaisir and know that Platinum can make good metal bodies on a budget too, but if you like a slender pen which doesn’t take much effort to wield it should be ideal. How it fills Platinum cartridges or their sturdy converter – no problems there. Crucially, how it writes… Now this all depends on whether you like Marmite! If you’re an enthusiast for all things gold in the nib department and like a bit of tooth with a just a touch of springiness, you’ll love it. But if you’re used to the smoothness of a ‘premium’ Platinum nib and prefer nibs to be either definitely stiff or definitely flexy, you’ll possibly hate it. There really is no in-between; Scribble likes his so much that it’s become one of this ‘everyday carry’ pens, and Ian was so unimpressed that he tried to send it back whence it came. Pen! What is it good for? Obviously this too depends upon your stance vis-a-vis the aforementioned yeast extract, but if you like it, it’s great for jotting notes when out and about. If you don’t like it, it’s probably not a lot of use for anything in particular, to be honest. VFM As this was the point of the exercise, value for money is rather good; there are, let’s be fair, no other ready-to-write pens with a gold nib which can be bought new for as little as £45. Whether it presents good value to you personally depends… well, we’re back to the Marmite thing again here. If this isn’t quite your cup of tea, but almost… If you just want to experience a really good gold nib from Platinum, our advice is to save up a bit more cash and go for a #3776. 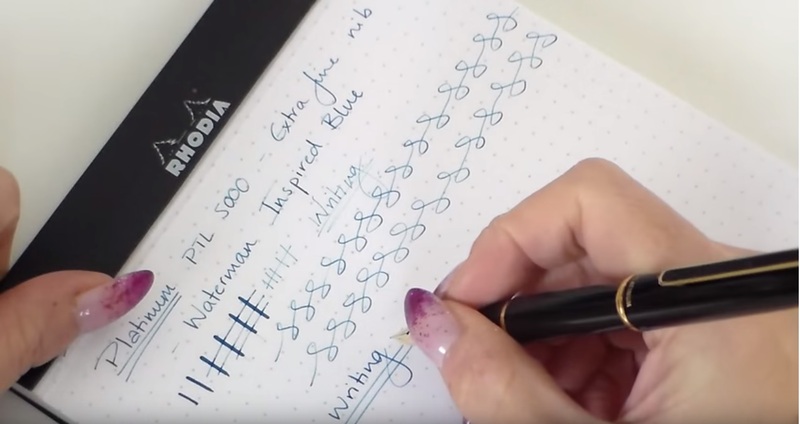 If you desire a new Japanese pen with a gold nib and can stretch the budget to just £10 more, some of Pilot’s Capless and Custom 74 models can usually be picked up for about that sum via ‘grey import’ channels (you know the ones we mean). 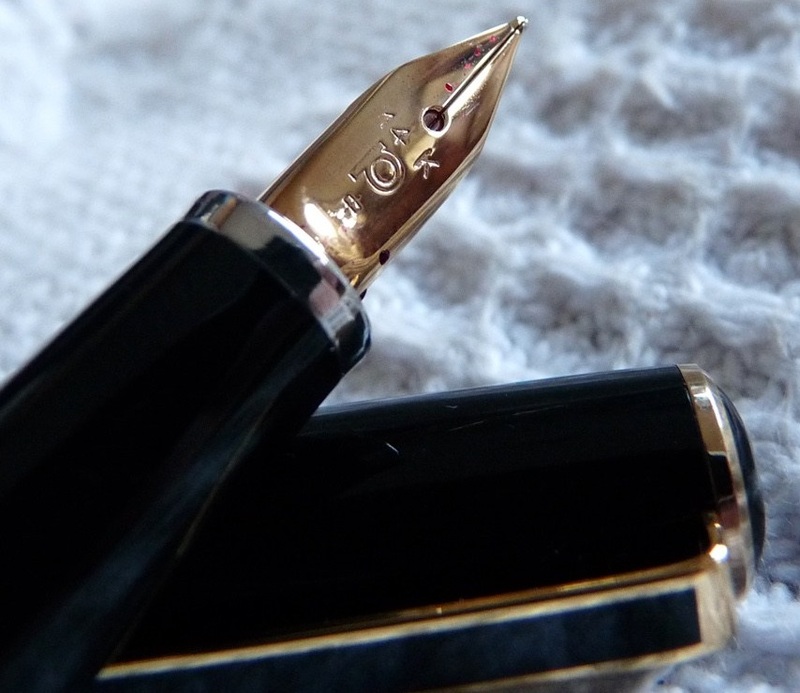 Alternatively, if you want a really good gold nib and have a TWSBI to hand (which you surely do! ), you can spend your £45 on JoWo gold replacement from FPnibs, and that will probably impress you far more than the PTL’s variable love-it-or-hate-it performance. Our overall recommendation We think this has been designed and finished to fit a tight budget, and while that’s a fine example of what Japanese lean production methods can achieve, the limitations of the design (and perhaps some inconsistent quality control) mean that it won’t be everyone’s dream choice. So if you can, try one before you commit to buying it; there is just a chance, of course, that you’ll love it! Where to get hold of one There are relatively few UK purveyors of this particular delicacy, and the only fountain pen specialist retailer we know who stocks it is Cult Pens; because of the risk of you loving it or hating it, we’d recommend a retailer with their good customer service if you do want to take the plunge. Thanks to Cult Pens for getting some review samples to us – and sharing our varied tastes in toast-topping condiments.